For more than a decade, Homestead Tow Service has proudly been a trusted name for towing and roadside service throughout the local Junction City, KS community. We’re fully equipped with flatbed and wheel lift trucks, to accommodate the towing needs of all makes and models of vehicles. 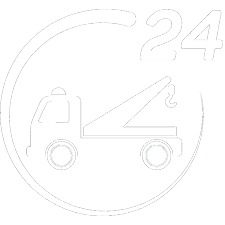 Call us for towing or roadside services 24 hours a day! When you need vehicle towing in Junction City, KS, you shouldn’t have to shop around. Instead, you should be able to pick up the phone and call a towing service that’s available 24/7, with the capabilities to haul whatever vehicle you’re driving. Homestead Tow Service lives by this philosophy, which is why we’ve established ourselves as the all-purpose towing service you can count on! Not only are we available night and day, our fleet is equipped to tow any vehicle! Our drivers are also extremely experienced in everything from wrecker towing to roadside assistance. When customers call us, they don’t have to wonder if we can get the job done—we quickly prove that there’s no job too big or small for us to handle! Because we’re a flatbed towing service in Junction City, KS, we can quickly load up your car, truck, SUV, motorcycle or scooter and safely tow it wherever you need to go. We’re also available for all types of towing situations—from winch-outs to wrecker towing, accident recovery to roadside towing and beyond. Just need roadside services to get back on track? Give us a call for gas delivery, auto lockout service, tire changes, jumpstarts and more. Whatever it takes to get your vehicle off the side of the road, we’re ready to deliver unparalleled service. Contact us when you need reliable towing and we’ll deliver an exceptional customer experience, guaranteed. Our services are available 24-hours a day, 7 days a week for your convenience. We serve the entire Junction City and Fort Riley, KS areas and can take calls up to 60 miles from our location. Our team is WreckMaster Certified for towing and recovery. We offer a full range of roadside services, from gas delivery to lockout service and beyond. Call us regarding FREE pickup of abandoned property and illegally parked vehicles. No matter when you need a tow, Homestead Tow Service will be here to assist you. We’re available day or night to provide you with quick and honest service.